Ridler, Jason. 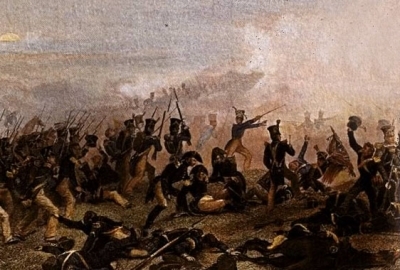 "Battle of Stoney Creek". The Canadian Encyclopedia, 12 April 2019, Historica Canada. https://www.thecanadianencyclopedia.ca/en/article/battle-of-stoney-creek. Accessed 22 April 2019. The rather casual pace and attitude of the US forces provided an opportunity for the British. A local youth named Billy Green had gathered critical intelligence on the approaching US forces, including their location and disposition. 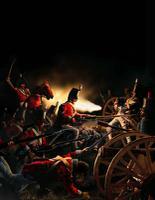 The Battle of Stoney Creek occurred during the War of 1812 on the night of 5-6 June 1813. With the capture of Fort George in late May, US Major-General Henry Dearborn was poised to renew an aggressive campaign in Upper Canada, but indecision and poor weather forestalled American Brigadier Winder and his 1400 men from marching toward Burlington until June 2, followed by another brigade under the command of Brigadier Chandler. Both units met at Forty Mile (Grimsby, Ont), setting out for Stoney Creek on 5 June where they camped overnight in a field beside the road. The rather casual pace and attitude of the US forces provided an opportunity for the British. A local youth named Billy Green had gathered critical intelligence on the approaching US forces, including their location and disposition. He rode on horseback to the British forces at Burlington, where he was initially considered an American spy. Green quickly shared all he had heard with Lieutenant Colonel John Harvey, who had also obtained passwords of the US forces at Stoney Creek from a recently paroled prisoner. There were few sentries, and they were ill placed; the nearby forest also offered excellent cover. Harvey pleaded with his superior, Brigadier General John Vincent, to make a dangerous night raid against the sleeping enemy, to hit them hard and fast before they could consolidate their forces with reinforcements. Vincent agreed, and in the dead of night Harvey and 700 men of the 8th and 49th regiments initiated a surprise night attack on the 3500 invading American troops. They marched in silence, the flint being removed from their muskets to prevent any accidental firing. According to a statement left to his grandson, Green, a native of Stoney Creek, was asked to lead the way through the forest. The sentries were bayoneted before they could sound the alarm and the enemy was poorly organized, but so were some of the British regulars who refused the order to keep quiet and fired their muskets too early. The Americans awoke to find their camp swarming with redcoats, illuminated by firelight, and they were hard pressed to load their muskets as the British unleashed their attack. Despite the confusion and heavy bloodshed, Harvey's forces managed a raid retreat with critical booty. Major Charles Plenderleath, commanding officer of the British 49th Regiment, ordered his men to capture the enemy's field guns before they had time to load. Chandler, seeing the commotion at the guns, ran to reorganize the men, whom he thought were his own, and he was captured by the British at bayonet point. The same fate awaited Winder, and both senior brigade commanders were captured with the guns, crippling both the command structure and the possible firepower the Americans might have used to rally and change the raid into a rout. Instead, the British retreated with a decisive victory. It was a brazen, dangerous and successful raid that turned on luck as much as skill, but it paid off for the British. Still, the cost was heavy: 23 killed, 134 wounded and 5 missing. The Americans suffered 55 killed or wounded, with 100 thought to be missing, and soon retreated to Fort George, with British and Aboriginal scouts chasing them on land. Colonel James Burn, of the 2nd Light Dragoon, had been commanding officer of the retreat, and related his actions to General Dearborn; with the capture of both generals, and low on ammunition, he convened a council of his senior officers. 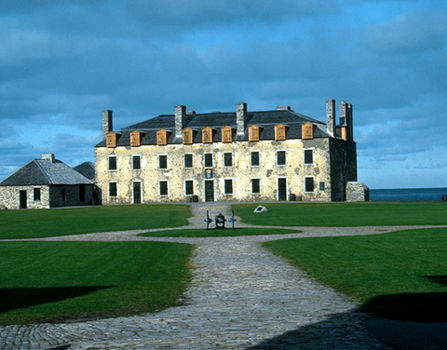 While the Americans hoped to be resupplied at Forty Mile Creek, they soon discovered the camp ruined by the naval squadron of Sir James Yeo, the new British naval commander on Lake Ontario. With Yeo capable of harassing the 65 kilometres of logistics and communications to be crossed to get any reinforcement, there was no choice but to return to Fort George. The Americans faced skirmishes the entire way back, losing men to capture along the way. 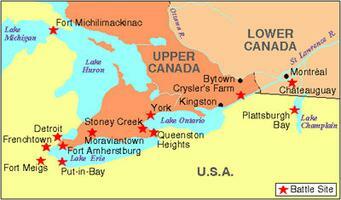 The Battle of Stoney Creek was a turning point for American operations in Upper Canada. While the Americans still controlled Fort George, their range of movement to extend and consolidate this gain was limited by the series of British outposts that penned them in, and the fear of First Nations warriors conducting guerrilla warfare tactics in the wilds. 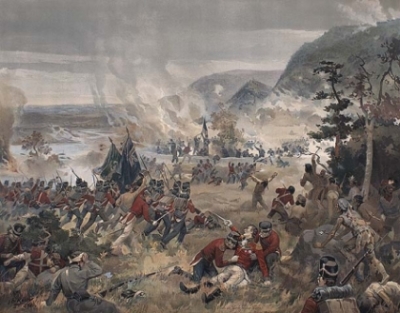 Along with the Battle of Beaver Dams two weeks later, the engagement at Stoney Creek returned the Niagara Peninsula to British and Canadian control and ended the US attempt to conquer the western part of the province. The battle was also a turning point in Harvey's career, which would soon add more victories to its tally at Crysler's Farm, Lundy's Lane, and Fort Erie. Billy Green's efforts earned him the laurel of being "the Paul Revere of Canada"; he was immortalized in a folksong by Canadian musician Stan Rogers.